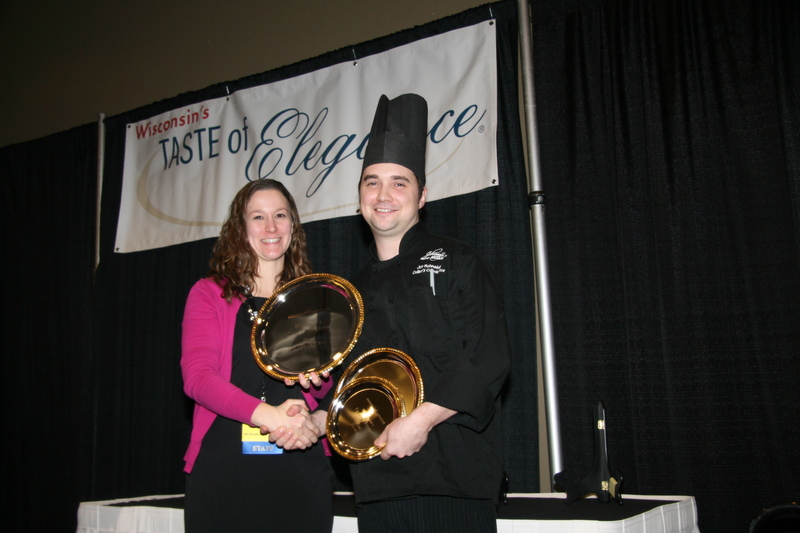 Chef Joe Schneider, sous chef at Johnny’s Italian Steakhouse in Sun Prairie, was named the Chef Par Excellence at the 2019 Wisconsin Pork Association Taste of Elegance competition. 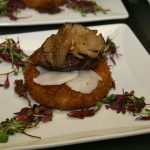 The competition encourages chefs to develop creative and innovative entrees using pork. 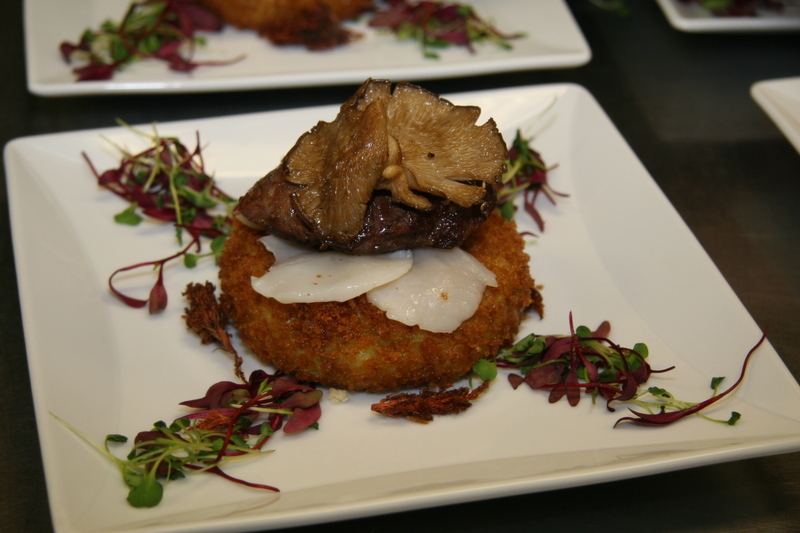 Schneider’s winning entrée used a less commonly utilized pork cut, pork cheek. He paired the pork cheek with a fried edamame cake which also earned him the Best Use of Soy award. Earning the Superior Chef award was Chef Mike Carmona Mejia with the Red Circle Inn in Nashota. He prepared an entrée that utilized three different pork cuts: pork ribeye, homemade chorizo, and pickled pork skin. Chef Kevin Dahlen with The Machine Shed in Waukesha was named Premium Chef for his duo of smoked pork belly and apple pork loin. This year’s crowd favorite and winner of the People’s Choice award was a variety of “Hog” D’oeuvres prepared by Chef Michael Althen with Elite Catering in Baraboo. Other finalists in the 2019 Taste of Elegance competition were: Michael Choronzy, The Duke & Dagger, Menomonie; Danny Davis, The University Club at UW-Madison; Damon Holter, Croix Valley Foods, River Falls; and Bill Marchewka, Maple Bluff Country Club, Madison. The 2019 Wisconsin’s Taste of Elegance was sponsored in part by: Johnsonville, National Pork Producers Council, Rabo AgriFinance, The Hanor Company of Wisconsin, the Wisconsin Soybean Marketing Board; and Wisconsin Pork Association. For copies of this year’s winning recipes, visit www.wppa.org/taste-of-elegance.